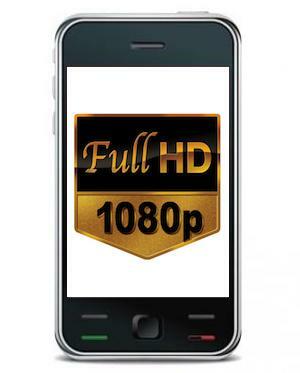 Samsung could be preparing to debut its own smartphone-sized 1080p display during CES 2013, hot on the heels of HTC’s Droid DNA. Full high definition displays are all set to be next year’s must-have new smartphone feature, although their size will see them used on hardware that tips over into smartphone/tablet hybrid territory. A Korean newspaper claims Samsung has developed a 4.99-inch touchscreen with a 1080p resolution and a pixel density of 441ppi. While the resolution is the same as the Droid DNA’s, the pixel density beats it by one point. It’s unlikely we’ll see the hardware related to Samsung’s new screen at the show though, as it’s not expected to go into production until later in the first quarter of 2013, which means Samsung could follow LG’s example and only show off the panel itself. There are two logical, future homes for Samsung’s Full HD screen: The successors to the Galaxy S3 and Galaxy Note 2. The slightly odd 4.99-inch screen size could mean it’s destined for the Galaxy S4, as by keeping it under 5-inches — even if it is by a ridiculous 0.01 of an inch — it could still (just) be classed as a true smartphone. There’s also a chance Samsung could introduce a new device which neatly fits in-between the 4.8-inch Galaxy S3 and the 5.5-inch Galaxy Note 2. An earlier rumor put the Galaxy S4’s announcement for sometime in March, which seemed a little too soon into the S3’s life, however maybe Samsung is planning an event for that time, but it’s for our mystery 1080p phone and not for the S4. We won’t find out until closer to the time, but provided the talk of a Samsung 1080p screen is correct, we should get to see it in action during CES 2013, which begins on January 8.